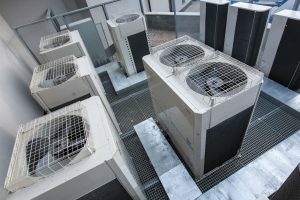 Not all AC companies are created equal, and that is clearer than ever when you start relying on Caldeco Air Conditioning & Heating for all of your AC equipment, service, maintenance, and repair needs. Winners of the 2018 Carrier President’s Award, Caldeco Air Conditioning & Heating is renowned throughout Central Florida for providing top-quality workmanship, superior customer service, and affordable pricing. At Caldeco Air Conditioning & Heating, we treat customers like family and provide the very best service and support on every service call. We offer best-in-class HVAC repair, maintenance, and installation on a wide variety of makes and models, and with Caldeco Air Conditioning & Heating, satisfaction is always 100% guaranteed. We are also one of the few local AC companies to offer comprehensive services to our customers, and our team of technicians are the best in the business. Each member of our crew is professional, courteous, and experienced, and they will work quickly to get your unit working at peak performance. Our broad service offering can keep your unit running smoothly all year ‘round. With quick and efficient repair services, thorough duct cleaning services, and regularly scheduled maintenance programs, we are fully equipped to help you make the most of your existing AC system. For those in need of a new system or a system replacement, we are the team to trust. We offer only the finest-quality systems and trust only the world’s most reputable brands. All of our equipment is built to last, and we offer our equipment and installation services at highly competitive rates. Additionally, we are pleased to offer financing opportunities for qualified home and business owners. Contact Caldeco Air Conditioning & Heating today to discuss your needs. We are one of the leading AC companies for HVAC repair, service, maintenance, installation, and more, and we are proud to serve Clearwater, Brandon, Wesley Chapel, Temple Terrace, Land O’ Lakes, and the surrounding cities.